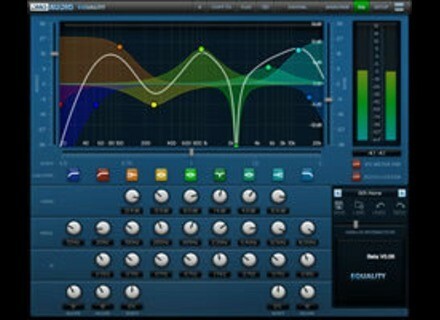 EQuality, Software parametric EQ from DMG Audio. DMG Audio has updated EQuality to version 1.10. Fix loading issue with Logic 9. Fix bug whereby wrong UI mode was loaded. Increase visibility of 0dB on meters. Fix RTAS automation and enable shortcuts. Ctrl/Apple+Shift-click on frequency text boxes to show note values. Pagetable enhancements for C24 / ProControl. Fix Digital+ / Mid modes for RTAS. Support for PT9 latency compensation. Fix redraw issue on some macs. Support for Digi ICON/D-Control control surfaces. Improve display of text boxes for RTAS/Mac. Fix processing of long offline blocks. Fix RTAS sample rate issue. Sliders have text boxes for display/entry. VST2.4 mono version, for convenience. Double-click sliders/knobs to reset to default. Button added to Setup to save state as default. Mousewheel adjusts Q for all bands. Alt-dblclick on the graph resets a band to default. Alt-drag Range/Shift will not change value without affecting bands. Felt Tip Sound Studio 4 Felt Tip has announced the release of Sound Studio 4, the easy-to-use Mac application for recording and editing digital audio on your computer (version v4.0.1 is already available). 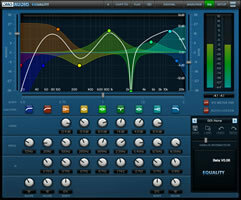 discoDSP Discovery Pro R5.4 discoDSP Discovery Pro R5.4 is now available for Mac and Windows. Peavey AmpKit 1.1 AmpKit 1.1 is an update to the AmpKit guitar amps and effects app.